Soar like a bird from the stunning Kyrenia Mountains down to the coast of North Cyprus. 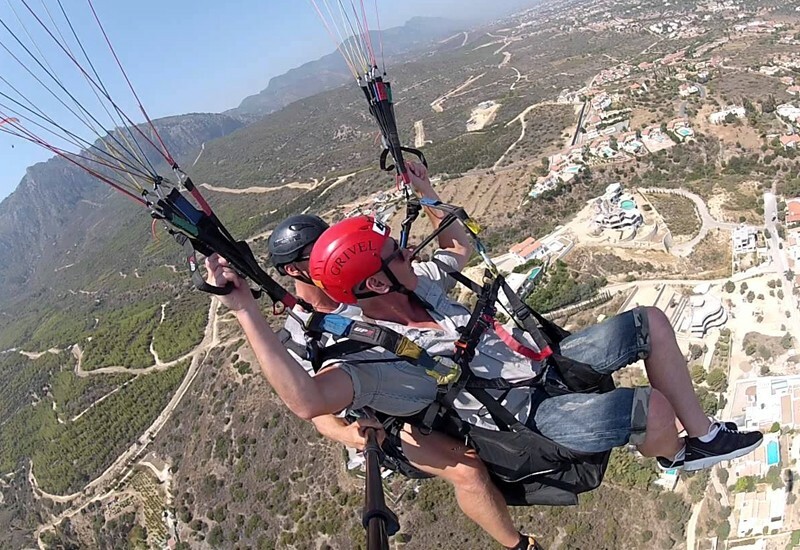 By paragliding in North Cyprus, you will experience breathtaking views and an amazing feeling of lightness and being free. Depending on what you like, we are Offering tandem paragliding flights, single pilot transport and guiding, paragliding equipment. You don’t have to worry about anything – all pilots working with us are licnesed and highly experienced,who have many flights under their wings. We are flying with the best equpipment, so you can feel free and safe. You will start your day with getting uninterrupted views of the stunning five fingers mountain range from St. Hillarion castle. Please allow a maximum of two hours for the whole adventure.